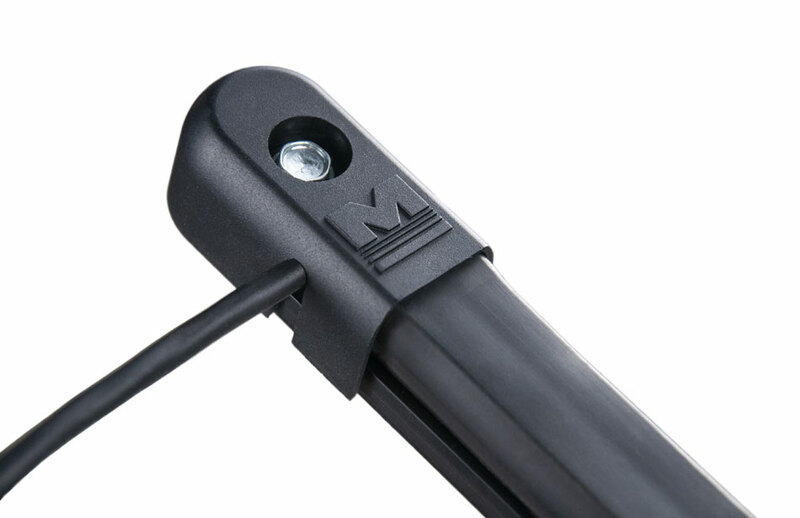 The small profile of the MG110 sensing edge is specially designed to protect draw-in posts, pockets, and pivot points in gate installations. 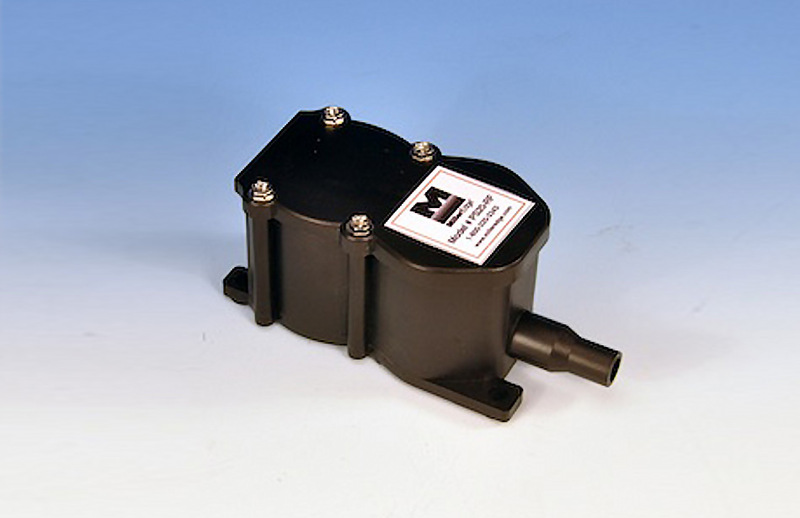 With touch sensitive signaling, the MG110 is designed to stop and/or reverse when contact is made. Miller Edge has taken the operation of the ME120 to a new level. 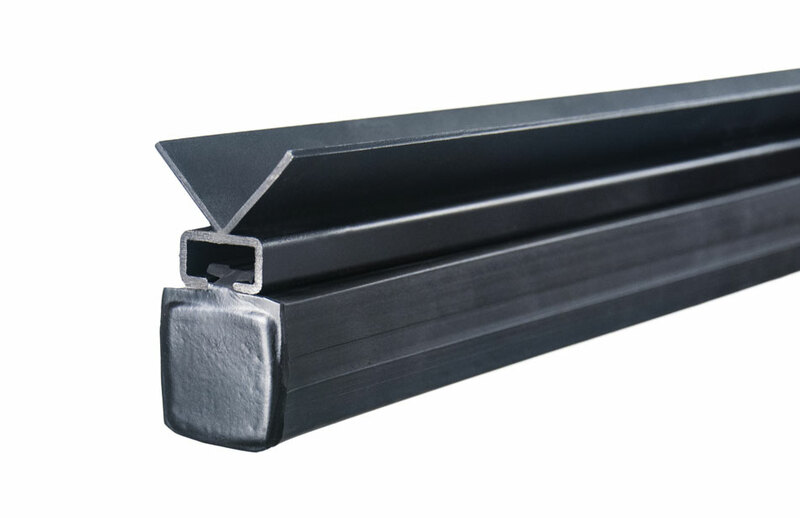 By pairing the ME120 sensing edge with the new ME120-C5 aluminum mounting channel, a sweep edge is formed on the bottom of swing gates. This design is to safeguard the entrapment zone on driveways and curbs along the path of travel. replaces a photo eye and provides extended protection. With the MLC, there is no need for an external control box. 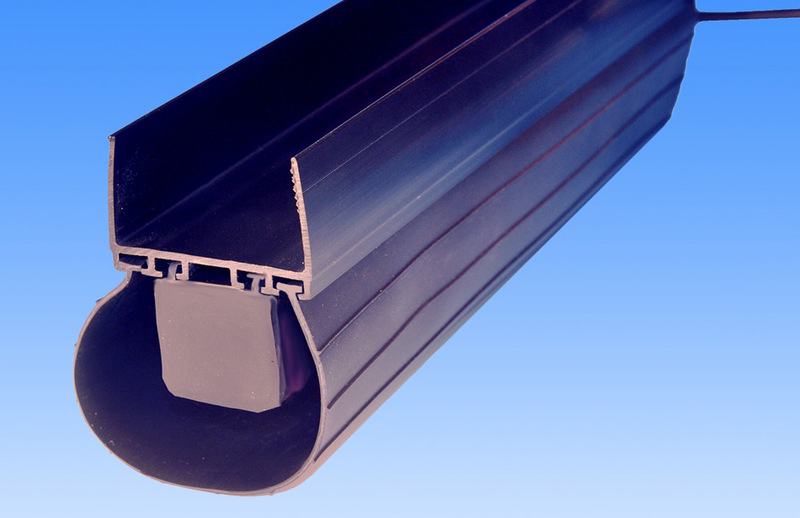 Using a series of thru beam photo eyes attached near the door track or guides, this light curtain is designed to provide a dense barrier of light that, when interrupted, signals the door to reverse. Description: The Clima-GUARD safety device combines an ME112 electric sensing edge and a loop seal all in one. 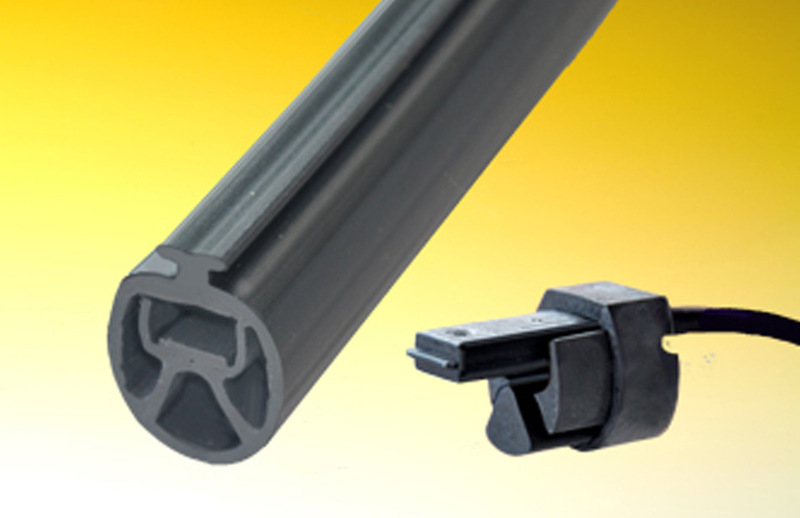 The purpose is to provide a weather seal for doors having uneven floors, and to reduce the risk of damaging the sensing edge from over-compression. 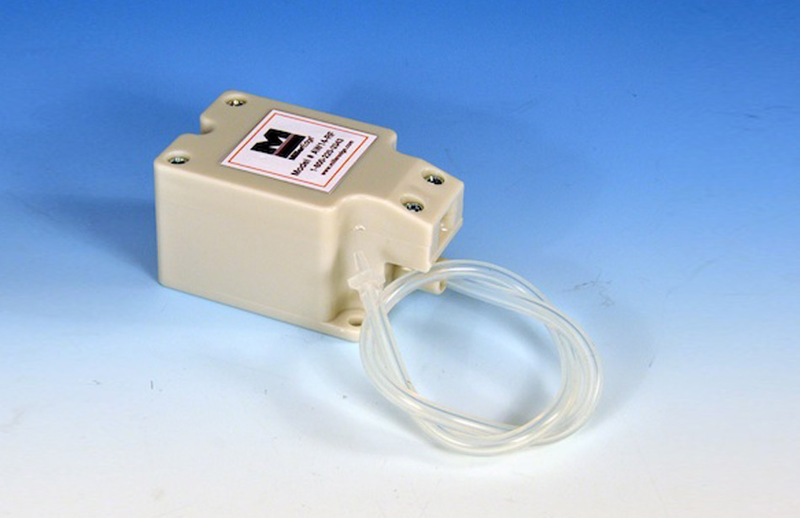 AW14-RF is our AW14 air wave switch with a transmitter embedded within the switch enclosure and the receiver wires into the operator. There is no need to hardwire coil cords or retracting reels, which saves installation time and improves visual aesthetics. 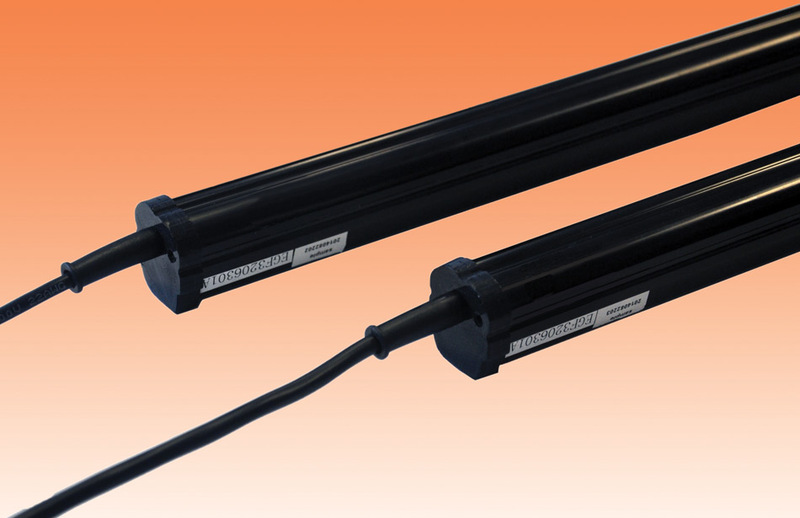 PS20-RF is our standard PS20A pneumatic switch with a transmitter embedded within the switch enclosure and the receiver wires into the operator. There is no need to hardwire coil cords or retracting reels, which saves installation time and improves visual aesthetics. 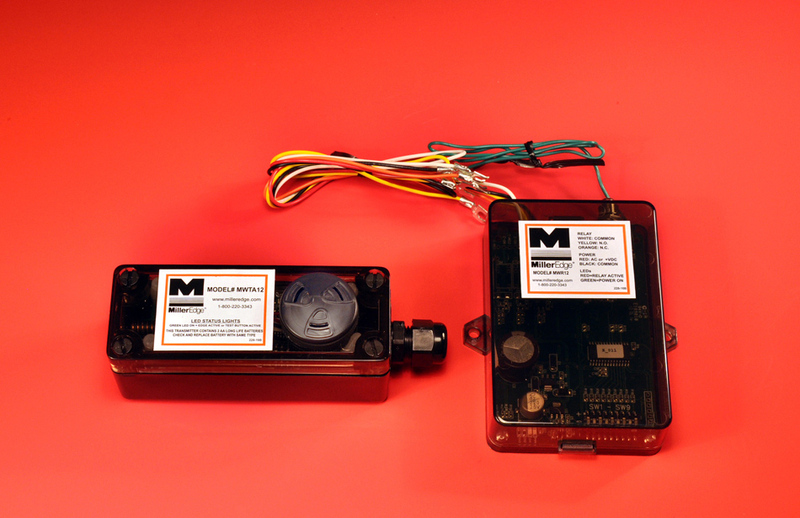 Includes single channel receiver (MWR12) and transmitter (MWT12). The receiver operates on either 12 or 24 volt AC/DC and provides N.O. or N.C. output. 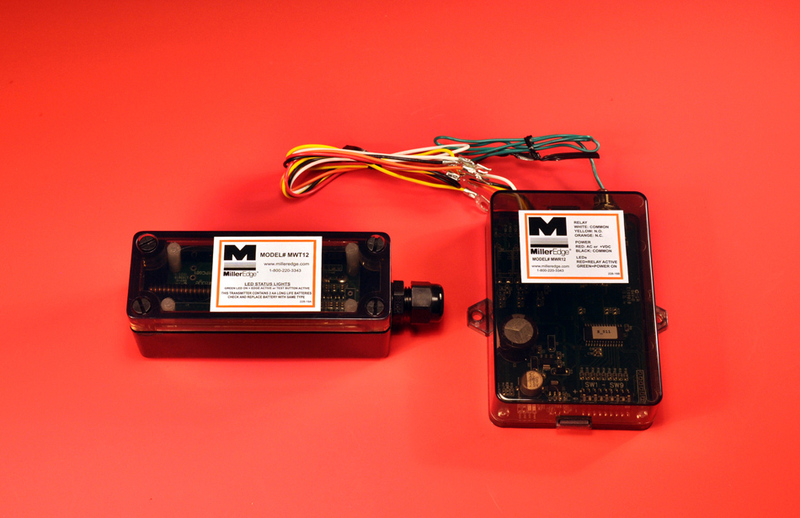 Includes single channel receiver (MWR12A) and transmitter (MWTA12) with audible low battery alarm. This feature that activates when the battery has only 25% of its life remaining, indicating the battery should be replaced. The alarm sounds for 5 to 10 seconds at 1 to 2 minute intervals. The receiver operates on either 12 or 24 volt AC/DC and provides N.O. or N.C. output.